In an effort to catch up and generally seem less lazy, I will be bombarding you with a whole load of mini bites over the next few weeks, and maybe some proper blog posts too. 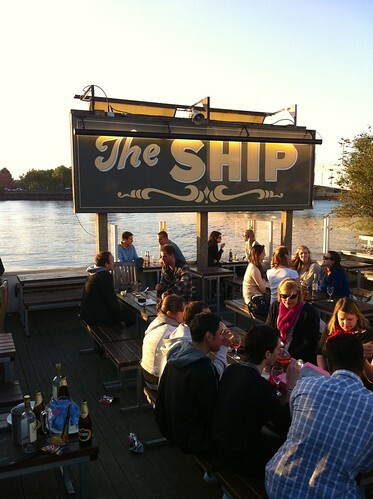 First up is the notorious Ship in Wandsworth. Stuck round the back of a massive roundabout in Wandsworth (containing a rather strange and rather large spherical structure), in between a bus garage and a McDonalds you walk down Jews Row to be confronted with a frankly odd looking but fabulous pub. With three different bar areas (including the one outside), it's perennial jovial atmosphere make this place an ideal drinking establishment. Drinking by the river has always been one of London's favourite pastimes, and roll up over any weekend with a hint of sun and you will normally be faced with hordes of people ready to party. 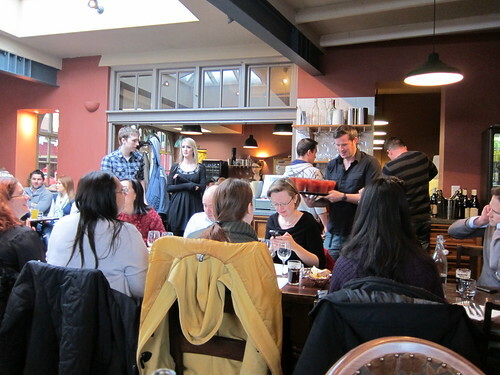 Not only is this a great pub for drinking, but it's also a great pub for eating. Spending some time looking through the menu, you can see that a lot of thought has gone into the menu here and I guess it's no surprise that the Ship has become a blogger favourite, hosting events and feeding us to the gills. I love the Ship and even though it doesn't need my endorsement, I give it a big thumbs up. Under Osh, Phil and the rest of the crew, you couldn't get a nicer bunch of people manning one of the busiest pubs in London. And if you are fed up of drinking in a pub with a roaring fire when it's cold, or enjoying an ice cold beer on the riverside terrace when the sun is out, feast your eyes on some of the quality food they roll out of the kitchen. 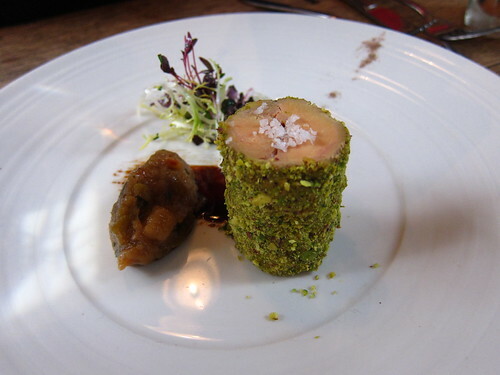 Fancy something decadent, a little foie gras perhaps? 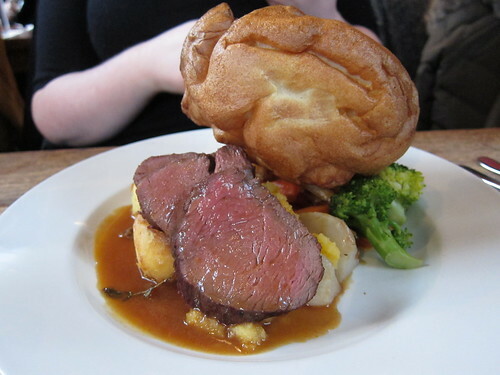 Maybe partial to an excellent Sunday roast. Probably a bit much, let's just settle for a frankly mindblowing burger. 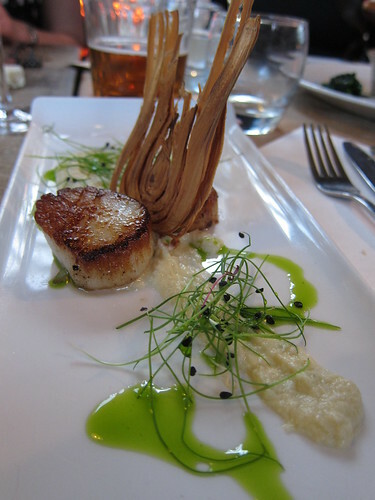 Or maybe some seafood, will scallops do? Yup, maybe just some old fashioned booze. 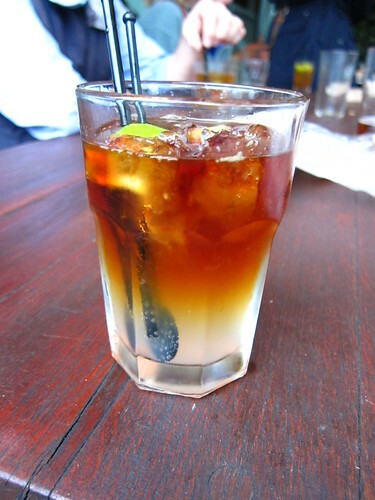 Dark and Stormy coming up. Mate that burger looks fine! 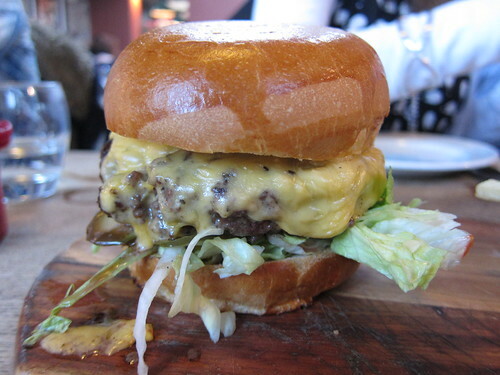 could you compare it with other capital burgers? @mzungu - Everything you want from a roast! @Odo - I would say it ranks up there with the best. A lot of thought has been put into it and executed expertly.